The mailbag is full!! 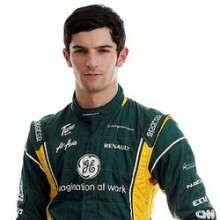 This week rising American star Alexander Rossi responds to your questions! New answers posted daily. After attending INDYCAR events at Mazda Raceway Laguna Seca with his father from age 6, young Alexander Rossi soon became hooked on the sport. He began karting at age 10 and immediately made an impression, winning multiple regional and national championships before being introduced to cars through the Skip Barber Racing School. He won a scholarship to compete in the 2006 Skip Barber National Championship and, at age 14, became the youngest ever race winner. He moved on to Formula BMW in 2007, finishing third in his rookie campaign with three races wins, and dominated the series in 2008 with 10 wins from 15 races. He also won the Formula BMW World Finals, earning a test drive in a Sauber-BMW F1 car. He moved to Europe in 2009, finishing fourth in the Formula Master Championship and claiming top rookie honors. After showing promise in the 2009-2010 GP2 Asia series, he concentrated on GP3 in 2010, winning twice and again finishing fourth. 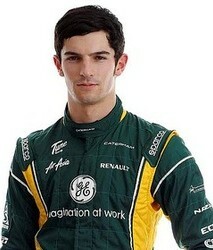 He is now in his second season of World Series by Renault, finishing as top rookie in third overall in 2011. He was invited to join the FIA Institute Young Driver Excellence Academy and is an official test driver for the Caterham F1 Team. Alexander Rossi answers your questions! I’ve been told that one of the most important relationships in racing is the one between the driver and the race engineer. What have you found to be the best way to build that bond? I’ve found the best way to build that bond is to actually develop a friendship with them outside the track. At the end of the day, motorsports is a massive team sport. Even though the driver is alone on track, what goes into it at and away from the circuit has actually very little to do with driving the car. It is all about preparation and understanding your performances in the past and why things are working out as they are. I have had several races lately where my aggressiveness has not paid off. How do you find the right balance between being too aggressive and being too timid? Finding the right level of aggressiveness is very tricky and something that comes with time and understanding. Each race is always going to be different and the more situations that you have dealt with, the better you will be prepared. Sometimes you have to be aggressive in order to make certain strategies work out or simply because you need the points. Other times, you can afford to be conservative and realize that you do not have the best car underneath you and all that you can do at that point is deliver its full potential. If you have a car that is only good enough for 6th, then drive it to 6th; but if you have a car that is good enough to win and you are quite close in 2nd, then going for the race win is probably the best option. SAFEisFAST Video: Is Smooth Fast? How do you stay focused on racing with all the pressure from the media, fans, family, the team and other drivers? By learning how to compartmentalize everything so that when you finally do get into the racecar you can focus solely on what you need to do out on track. It’s something that takes a bit of practice as there are a lot of external things going on around you, especially in Formula 1, but the sooner you accept that and find a way around it, the better of you are. I am confused by all the different feeder categories, or development series, that are available in Europe that are supposed to lead toward F1. How do you suggest picking which is the best route to take? I was confused as well! There are so many different categories in Europe and around the world that there isn’t really one route that is the best to F1. The only piece of advice that I could give you is to make sure that after each step you have accomplished what you needed to in order to move up. This does not necessarily mean winning the championship, but you must look at the year and determine whether going to a bigger car/category will be beneficial or not. One of the worst things that can happen is moving up too quickly, but at the same time there is no need to stay in a championship if you have learned all the lessons to be learned regardless of whether or not you won. In the U.S., and in karting, almost all races begin with rolling starts. Did you have any difficulty in adapting to the standings starts which are more prevalent in Europe? Standing starts are something that can be quite nerve-racking as there is always the possibility that you could get it wrong and stall the car which would be the end of your race. However, at the same time, standing starts give you a great opportunity to gain positions as there is such a variable in terms of who will get a good start or not. No one is ever guaranteed a quick launch off the line and sometimes that plays into your favor and other times it doesn’t. What you have to do is make sure that you completely understand the procedure so that when the lights do go off you know how to handle all the different possibilities. How do you approach a race in the rain when all the practice and qualifying has been in the dry? The rain line around most tracks is very similar, as is the dry line. So going into the race you have a rough idea of where you will be wanting to put the car and it is all about adaptability from that point forward. Sometimes your idea that you have set in your head before the start is correct and other times you will find that there was no grip where you originally thought. This is when you are forced to get creative to find the best way. In terms of the speed you carry through the corner, again it’s a similar approach. You have an idea and a plan before you go out and as each corner and lap go by, you have to keep feeling what the car is doing underneath you and use that to predict what will happen in the next corner. Hi Alex. As you moved up the ranks, what was the most difficult part in graduating to more powerful cars and, in hindsight, is there anything that you would have done different to prepare? I think that the most difficult thing when moving to bigger cars is the fact that you have to trust something that exceeds your expectations. For example, it isn’t so logical that you will be able to decelerate at above 5g longitudinal, but you have to be able to understand that the car has the capability to. And like anything, once you do it, the next time becomes easier and easier. That is the same with everything that is associated with the bigger cars – the acceleration, lateral grip and direction change. How important are simulators in your preparation? Simulators are becoming more relevant to the development of the car as the technology gets closer to reality. For me, I have found that the benefits are quite high when you are needing to learn a new circuit as it gives you a sense of confidence when you are driving out of pit lane for the first time. At the very least, it gives you an invaluable perspective on the line, cornering speeds and brake points. Hello Alex. Do you have any advice on the sponsorship side of the sport? It is very important to make sure that you are seen and noticed to attract as much sponsorship as possible. The reality is that motorsport is incredibly expensive and in order to raise the appropriate amount of funds needed, there is no black and white answer. You definitely need to find your “hook” and develop that so you are targeting the correct companies and brands that fit your image. I am about to move up from karts. I am excited but at the same time, I know this is an important step in my career and I need results. Do you have any advice on how to best prepare to make this move up? Patience. The first time that I got into a racecar, it was a complete shock and I would be lying if I said it was successful. I would say that the biggest difference that you have to be prepared for is the fact that everything in a racecar feels as though it is happening in slow motion even though that sounds counterintuitive as a kart obviously does not have the pace, because it is lacking suspension, and the movements are instant. Whereas in the racecar, when the driver inputs into the car, it has to go through springs and dampers before you will actually feel the result in the tyre. This requires you to be much smoother with your driving style as there is a much smaller margin for error as things take so much longer to happen. Where do you start looking for those extra tenths when you feel you are driving a track well? You start looking for the extra tenths everywhere. It is not very often where there is one particular part of the track where you lose a lot of time, rather it is little bits everywhere. A couple hundredths in each corner can easily build to a few tenths over a lap, so it is very much a case of fine tuning every aspect of the track. While there is a lot to look at in terms of driving, the car balance can also have an obvious effect on the overall lap time and sometimes you are more confident to push that extra bit harder when you have a more suitable platform under you. What are some things that you have to do that nobody realizes in order to get your FIA Super License, and did they make you do anything special since you were so young? The requirements that I had to meet were not at all specific to my age. In order to receive an FIA Super License, I had to complete 300km in a current year specification F1 car and specification tire. A driver’s best lap must be within a certain percentage of the current race driver, making no mistakes and without signs of driver physical fatigue. 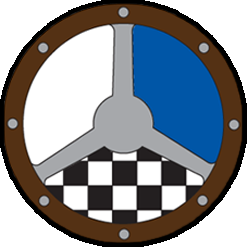 At the end of the test the team must present data and a letter of recommendation to the FIA along with the mandatory fee. Thanks to you for taking the time to answer questions. How do you mentally prepare yourself before a race? Is there a certain routine that you follow to help keep yourself focused? I don’t really have a routine, but in terms of preparation I try to keep things as simple as possible. Obviously my main focus is the car; however, I often have to do PR and sponsor requirements around my time on track throughout the weekend. Before I step into the car, I prepare approximately half an hour before the session goes green. I usually physically warm up via boxing and stretching, while making sure the environment is as calm as possible. Hi Alex, What was the biggest lesson you learned from professional coaching? Thanks! The best piece of advice I received actually came from Mike Speed (Scott Speed’s father) in karting when he explained that once you make a move to overtake, you cannot back out. This obviously is not black and white but the concept of commitment in a race environment remained clear. Hi Alex. Obviously, moving to Europe to race was a key step in your career. How did this decision come about and was it difficult? The decision to move over to Europe was not that difficult as my goal from the onset was Formula One. All of the main feeder series into F1 are borne out of Europe, and I realized very quickly that in order to achieve my ultimate goal I needed to make the move. Obviously moving away from home is hard; however, travelling and having to adapt to new situations and scenarios is all part of the job as any racing driver. Hi Alex. Thanks for taking the time. I am impressed with the path you have taken in your career and obviously a lot of drivers envy your position. What factor or factors have helped you the most in getting where you are at today? Hi Shaun, thank you for the kind words. I think many factors play a role in any person’s career, however I would say my family support is something that was prevalent from Day One. I wouldn’t be here if it was not for the continued support of my family, investors and sponsors, but particularly my Mom and Dad. We have started this journey together and like anything when your working to reach the pinnacle of a sport, it has its ups and downs. However, being able to rely on each other through it all has made the accomplishments possible. Hi Alex. How valuable was the FIA Institute Young Driver Excellence Academy experience and what part really stood out as helping you as a driver? The FIA Institute Young Driver Excellence Academy was very beneficial when it came to understanding the entire picture necessary to be a successful F1 driver. Driving, albeit very important, is only one aspect of what an F1 driver does. What goes on off track from fitness, media, sponsorship and mental preparation takes on a much larger role than some drivers would expect. Learning how to maximize all of these different elements was something that we spent a lot of time on and is very important for any potential Formula One Driver. Note: SAFEisFAST.com will be traveling to Germany this week to film at the latest FIA Institute Young Driver Excellence Academy workshop. Stay tuned for new videos offering insight on this great program! Could you go into detail about your responsibilities in your role as a test driver for Caterham? As a Test Driver for the Caterham F1 Team, my main responsibilities are testing the car when the F1 drivers are unavailable, or when the team is able to run a straightline or aerodynamic test. Previously the teams were able to test the cars in between races, and consequently had a whole test team in place to accommodate this. Nowadays there is very limited testing. However, we are able to run the current car at various points throughout the season and it’s incredibly important for me to do exactly as required in order to gain the most amount of valuable feedback for the team. I will also spend time on a simulator when needed, which again is valuable for the team in order to gain data. This in turn will hopefully progress the car’s development and ensure progress on the grid. The best part of being the test driver is that there are opportunities throughout the year to take part in the first Free Practice of a Grand Prix weekend allowing me the opportunity to drive the car in an official session. This is the best learning opportunity available for young drivers in the current world of Formula One and my first outing was with Caterham in Barcelona this past May. For ninety minutes I was on the same level as seven world champions and it gave me an incredible amount of motivation to work toward this role on a permanent basis. Other roles include attending some F1 races (where it doesn’t clash with my WSR commitments) working with engineers, media and sponsorship commitments, which is invaluable experience and knowledge necessary at the F1 level. I’m often required to attend team PR events and various media functions, as it’s my job to represent the Caterham F1 team and their sponsors well. What was the biggest challenge for you in driving an F1 car for the first time? It may come as a surprise but rather than the car and driving, the biggest challenge actually comes off track managing what is being asked of you from all of the different engineers. In the junior categories, you have maybe one or two people that you need to debrief with whereas in F1, the number is more like eight or nine. When it’s time to get in the car, of course there are huge differences and you can immediately feel that a Formula One car is a huge step up from any feeder series. However, at this level the adaptation comes quickly and fairly natural. It’s what you’ve been training for your whole career. Any advice for a beginning driver looking to make it in the world of motorsports? Anything is appreciated. Race as much as possible and build your racecraft while absorbing and learning the technical aspects as well. Knowledge is power! Exploit your strengths, play on them and work on your publicity so you can be noticed. Keep focused on the racing and try not to get too distracted by other elements in motorsport, and always keep a positive attitude. In the long run it will pay big dividends. What are some key exercises you do to maintain your fitness? I regularly work out with a heart rate above 80% of my maximum, and some key areas we work on are speed and agility. For example, one piece of equipment we use is a Batak reaction wall, which helps train your body and mind to react quickly. I also work on cardiovascular training which includes swimming, and boxing which not only helps my strength and fitness but also my reactions. One other area that is key to focus on is my neck strength, a very important element at this level of motorsport and as the races become longer.